In science we make observations. There are always a set of conditions that define a situation at any point in time. Those conditions are not static, but are ever changing. In this module we will begin to explore how we can represent those changing conditions graphically to represent and understand the motion of objects. 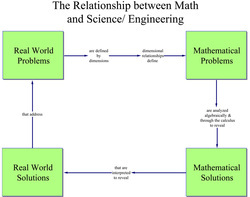 This flowchart illustrates the relationship between mathemetics and science investigation. - How fast was the falcon going? - Does it accelerate in flight? - How can we evaluate it's flight as compared to other birds of prey? - Motion can be represented graphically. - Different dimensions can be evaluated graphically to answer different questions about motion. 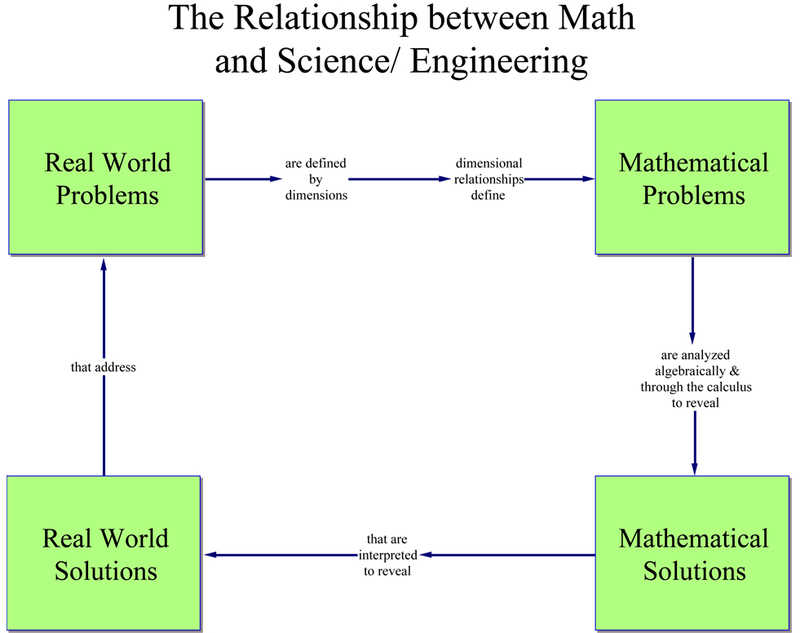 - Mathematics and graphs are used to better understand real world situations. - Mathematical and graphical analysis of real world situations often leads to insights about nature and leads to natural laws. - The slope of a graph represents rate of change and a relationship between dimensions. - Relate natural dimensions to graphical analysis of relationships. - Collect data and generate graphs of velocity, and acceleration. - Interpret and analyze displacement/time graphs, velocity/time, and acceleration/time graphs. - Describe how slope describes the relationship between dimensions being analyzed. - The slope of a position-time graph represents the instantaneous speed or velocity of a moving object. - The slope of a velocity-time graph represents the acceleration of an object in motion. - Computers can be used to graph motion and to take motion data. Students may think velocity and acceleration graphs are the same. Students may think if an object has zero acceleration, it cannot be moving. Students may think if an object has negative acceleration, the object must be moving ‘backwards’. Generate and analyze graphs and/or charts from measurements taken on moving objects by various means, including computer technology. Identify motion parameters of displacement, velocity, and acceleration. This module will have the performance indicator described as well as a unit assessment. There will be one additional test over the material.